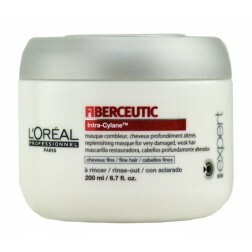 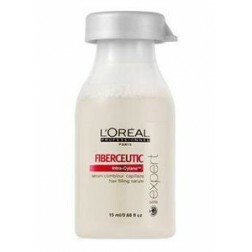 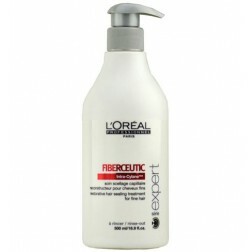 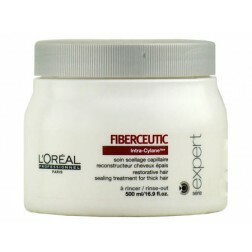 L'oreal Fiberceutic works to reconstruct the hair fiber from the inside out and help very weak, damaged hair regain its natural condition. 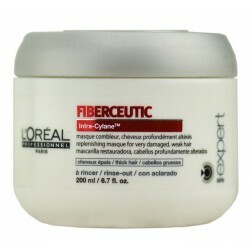 INTRA -CYLANE: acts at the core of the hair fiber to provide emergency care for hair severely damaged by chemical and mechanical aggression. 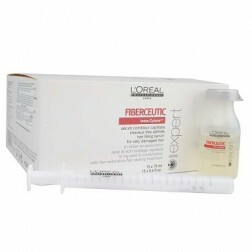 INCELL: Patented multi-dimensional ceramide that strengthens and conditions the hair.